"A Song of triumph" Very freely taken from the Celebrated Picture by Rubens. More Info An antique tinted lithograph from "Political sketches of Henry Bunbury" by John Doyle (1797 - 1868). This represents British political figures in the 1840s. The initials "HB" represent the signature of John Doyle, the English portrait painter and caricaturist. Published by T. Mc. Lean, 26, Haymarket, March, 22nd. 1843. Printed at 70 St. Martins Lane. Sir James Emerson Tennent, 1st Barone, Arthur Wellesley, 1st Duke of Wellington, Sir Robert Peel, Sir James Robert George Graham, Edward Law, 1st Earl of Ellenborough, Edward Geoffrey Smith-Stanley, 14th Earl of Derby and Henry Peter, 1st Baron Brougham and Vaux. Some overall foxing and marginal damage. An antique tinted lithograph from "Political sketches of Henry Bunbury" by John Doyle (1797 - 1868). This represents British political figures in the 1840s. The initials "HB" represent the signature of John Doyle, the English portrait painter and caricaturist. Published by T. Mc. Lean, 26, Haymarket, March, 22nd. 1843. Printed at 70 St. Martins Lane. Sir James Emerson Tennent, 1st Barone, Arthur Wellesley, 1st Duke of Wellington, Sir Robert Peel, Sir James Robert George Graham, Edward Law, 1st Earl of Ellenborough, Edward Geoffrey Smith-Stanley, 14th Earl of Derby and Henry Peter, 1st Baron Brougham and Vaux. Some overall foxing and marginal damage. 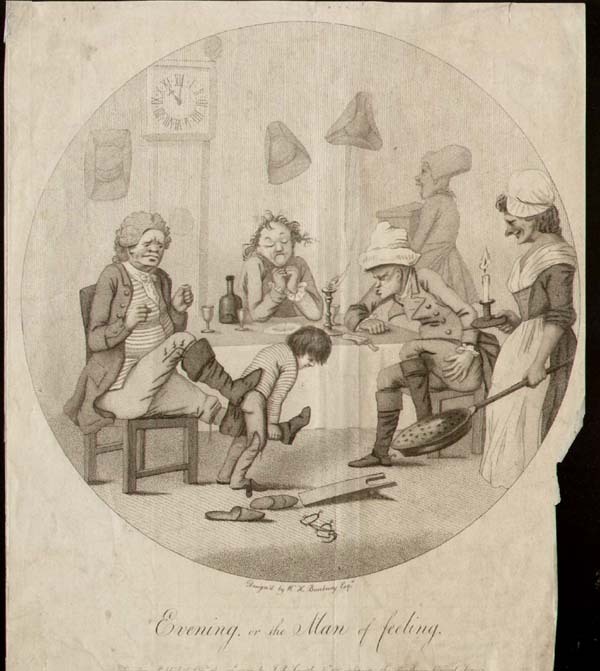 More Info An antique lithograph from the "Political sketches of Henry Bunbury." The sketch alludes to the lead taken by Lord Palmerston in the place of Lord John Russell in 1842. Sir Robert Peel and the Duke of Wellington (in the form of an eagle) appear on high. Publishe by McLean (London; 26 Haymarket) Circa 1845. Short marinal tears repaired with archival tape. 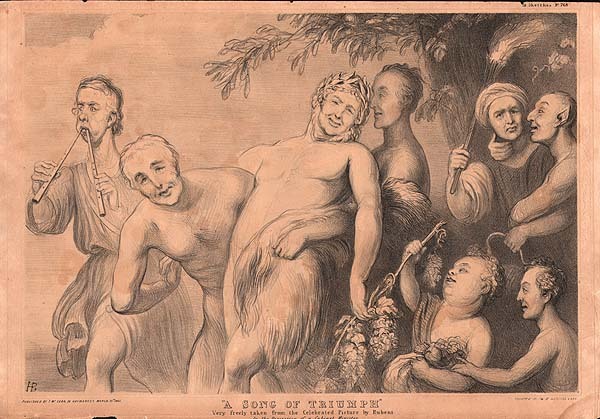 An antique lithograph from the "Political sketches of Henry Bunbury." 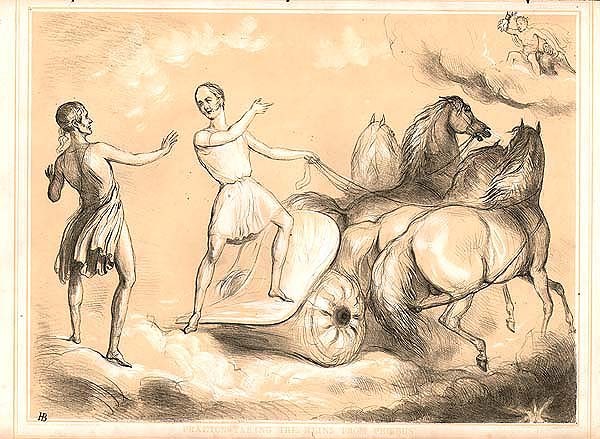 The sketch alludes to the lead taken by Lord Palmerston in the place of Lord John Russell in 1842. Sir Robert Peel and the Duke of Wellington (in the form of an eagle) appear on high. Publishe by McLean (London; 26 Haymarket) Circa 1845. Short marinal tears repaired with archival tape. How to ride a Horse upon three legs discovered Ann: Dom: 1768. An antique copper engraving by W. Dickinson after H. Bunbury published in "The Annals of Horsemanship". Circa 1787. Mr Gambado seeing the World, in a Six Mile Tour so famed in History. An antique copper engraving entitled 'Mr Gambado seeing the World, in a Six Mile Tour so famed in History by W. Dickinson after H. Bunbury published in "The Annals of Horsemanship". Circa 1787. How to ride up Hyde Park. How to make the least of him - Quantum Mutatus Ab Illo Hectore. How to make the most of a Horse. How to stop your Horse at Pleasure. An antique copper engraving by W. Dickinson after H. Bunbury published in "The Annals of Horsemanship". Circa 1787. Some old repairs to verso on bottom right to strengthen the plate mark. How to turn any Horse, Mare or Gelding. How to prevent a Horse slipping his Girths - Non Sibi, Sed Patria. A Horse with a Nose - In Hoc Signo Vinces. An antique copper engraving by W. Dickinson after H. Bunbury published in "The Annals of Horsemanship". Circa 1787. Some old repairs to bottom left corner, strengthening the plate mark. How to be run away with. The Puzzle for Turk, Frenchman or, Christian. How to Travel upon two legs in a Frost - Ostendunt Terris Hunc Tantum Fata Neque Ultra Esse Finent. An antique copper engraving by W. Dickinson after H. Bunbury published in "The Annals of Horsemanship". Circa 1787. Some old repairs to verso strengthening the plate marks. A Daidy Cutter with his Varieties. How to make the Mare to Go - Non Quo Sed Quomodo. Doctor Cassock F.R.S. T.P.Q. - Inventor of the noble puzzle for tumble-down HORSES. An antique copper engraving entitled 'Doctor Cassock F.R.S. T.P.Q. - Inventor of the noble puzzle for tumble-down HORSES' - Te Veniente Die, Te Decedente Canebam by W. Dickinson after H. Bunbury published in "The Annals of Horsemanship". Circa 1787. An antique copper engraving by W. Dickinson after H. Bunbury published in "The Annals of Horsemanship". Circa 1787. Some old repairs and strengthening to bottom margins. An etching by James Bretherton after Henry William Bunbury published by Bretherton in 1773. Later coloured by hand. W. H. Bunbury - Evening, or the Man of feeling. An antique stipple engraving "design'd by W.H. Bunbury Esq" printed in sepia and published in 1781 by J.R. Smith. A roundel of 29cms diameter. Cropped to within 1mm of right side as shown. The Tumbler, or its Affinities - Cavat Lapidem Non Vi, Sed Saepe Cadeno.